It starts with a ball of ice that has fallen from the sky. Connor becomes fascinated with this odd phenomenon, obsessed with the mystery and the need to solve it. He can’t figure out why others aren’t as interested as he is – why others don’t seem to care about this small oddity. It is often the small things that people ignore that point to a larger imbalance in the world, a bigger oddity. Drawn by this mystery and his need to solve it, Connor begins researching ice, sound, and the possible conspiracy of fate around him that keeps pushing him to change the churches around his city to modify the sounds of their bells… and the atmosphere surrounding them. Despite the warnings of the people around him, the obvious dangers he sees as he explores further depths to this conspiracy of the world, he continues to pursue his obsession. Lydia Pever’s “Shrinking Dwell” explores the power of obsession that can possess someone – the need to know, the need to solve a problem. Connor’s obsession has absorbed him, encompassed him, and he becomes caught up in a larger pattern of fate/ moira… an inescapable draw from which he cannot escape. Obsession becomes a loss of personal power, a loss of control and internal motivation. His compulsion becomes all-encompassing. Peever illustrates to her reader that destiny is not always good or kind, and can be a trap. 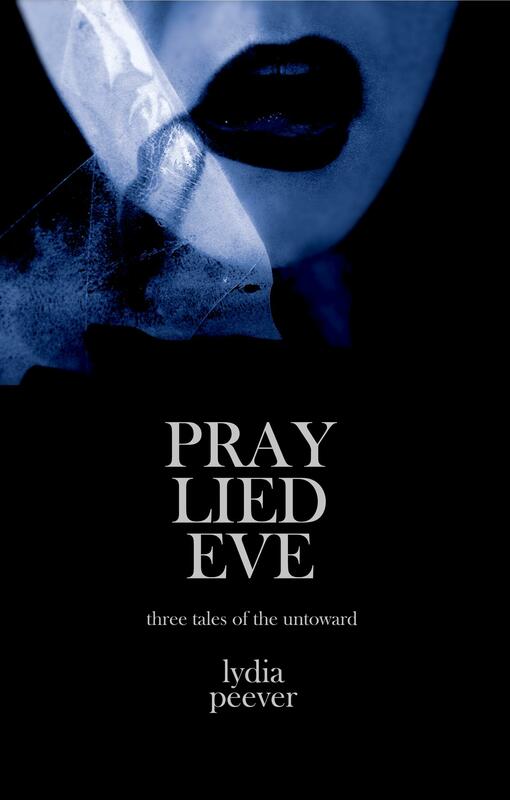 To find out more about Lydia Peever and her short story collection Pray Lied Eve, visit her website at http://nightface.ca/portfolio/ . This entry was posted in Fiction Book Reviews and tagged church, conspiracy, destiny, fate, ice, loss of control, Lydia Peever, reviews, trap, weird.